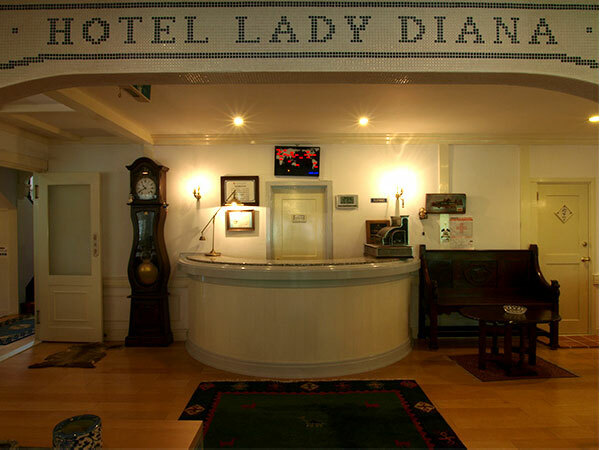 The Lady Diana and St. Georges Hotel can be used for a variety of purposes such as a place used for personal travel or as a place where training camps for club or group activities are held. Please allow us to take this opportunity to give you an overview of the facilities at our hotel. There are 12 guest rooms in the main building and 8 guest rooms in the new annex. All of the rooms have a bathtub, toilet and television. 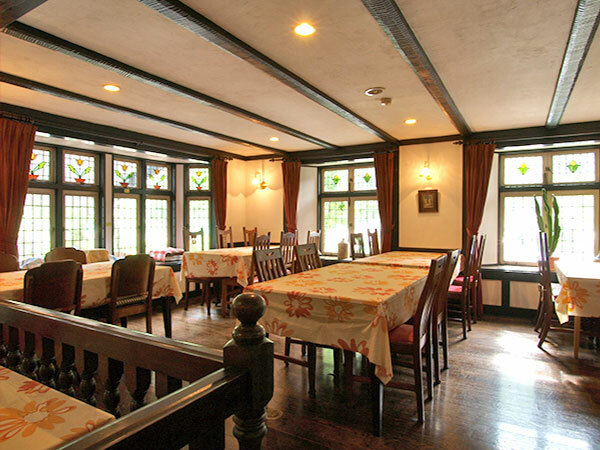 We have various room sizes available to accommodate organizations, groups, couples and families. The room’s size will accommodate the number of people using the room. The large rooms are the size of 32 tatami mats when you combine the tatami mat space with the loft space. This area can be used as both a banquet hall and as a guest room. If you put the futons together you will get to feel the joy of being on a school trip like a kid. The dining room has a very calm atmosphere. A total of 80 people can be seated in the room. The dining room is large enough to give all the members within a group/organization the ability to eat all of their food at once. The party space is the size and of 100 tatami and requires a reservation in order to be used. There is a refrigerator and ice machine in the party space that people who reserve the room may use. Items may be brought into the party space, so this area is perfect for events that will be held by groups and organizations. There is an area for barbecuing that can be used by a large number of people in front of the hotel. This is a really popular spot often used for events such as training camps. When you pass through the entrance you enter into a space with a special atmosphere. 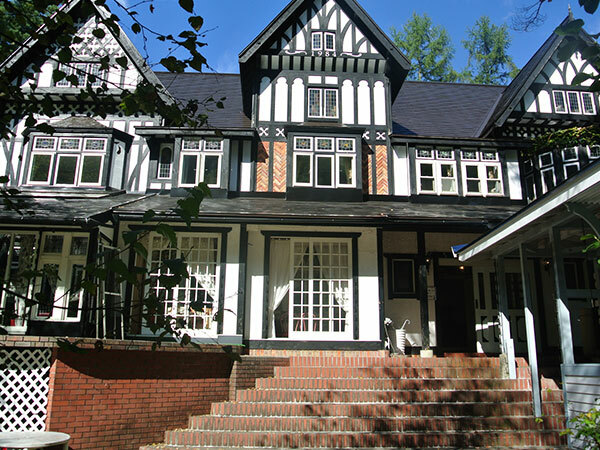 The area is decorated with English style furniture. When you go up the stairs you will see the front desk. There are 12 tennis courts (hard courts) in front of the hotel. You can feel the cool Hakuba breeze while you play tennis.